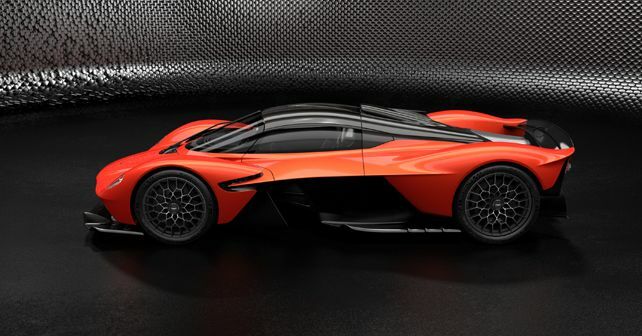 As the first prototypes of the Valkyrie are starting to take shape, Aston Martin has gone on to reveal the complete performance specs of its hybrid powertrain. A while back, we had informed you about the partial performance specs of Aston Martin's upcoming hybrid hypercar, the Valkyrie. Now though, as the car is nearing its physical prototype stage, the British sports car manufacturer has revealed the entire performance specs of the car. In the prior reveal, we simply were made aware of the Valkyrie's fire-breathing Cosworth V12 engine and its performance figures. This time, we get a low-down of the car's performance specs with the hybrid system. While the naturally-aspirated, 6.5-litre 65° V12 Cosworth engine contributes 1,000bhp and 740Nm of torque, it gets an additional boost of 160bhp and 280Nm of available torque from the battery hybrid system. Thus, the world's first naturally-aspirated and emissions-compliant road car will produce 1,160bhp and 900Nm of peak torque, in total. The Valkyrie's hybrid system, an F1-inspired KERS (Kinetic Energy Recovery System) setup, has been developed by technical partners Integral Powertrain Ltd (supplier of the electric motor) and Rimac (developer of the lightweight hybrid battery system).